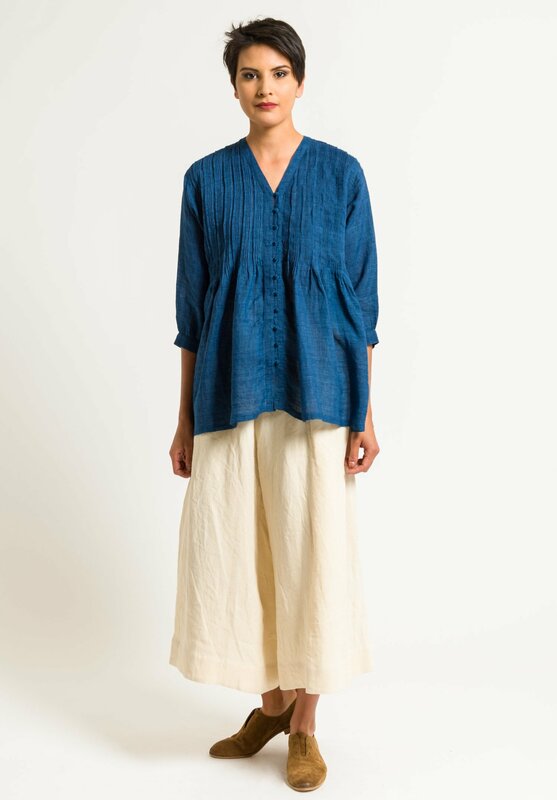 Maison de Soil is a Japanese line that blends luxury and comfort with handcraft and tradition. 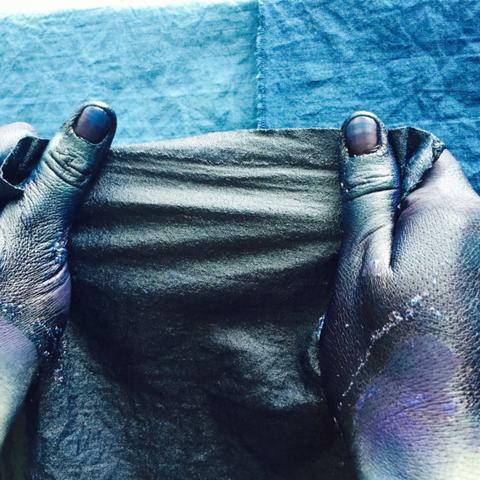 Soil, as a reference to “earth,” conjures up an image of a workshop connected to the land. 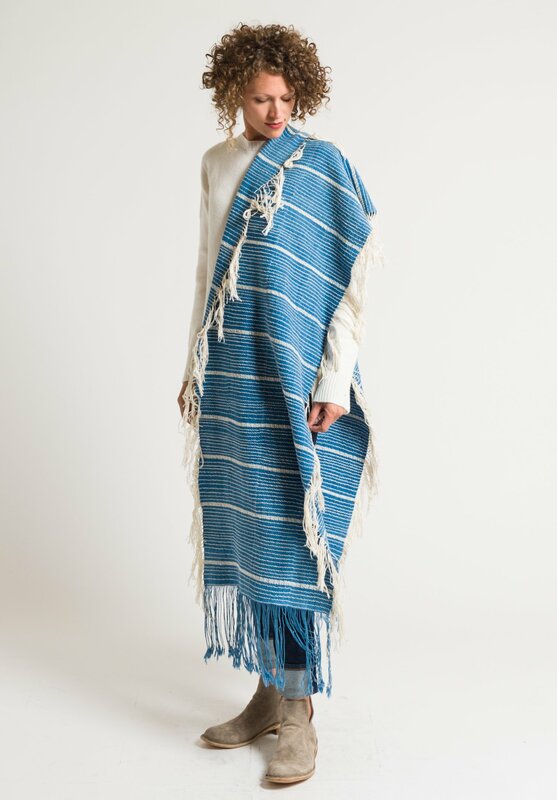 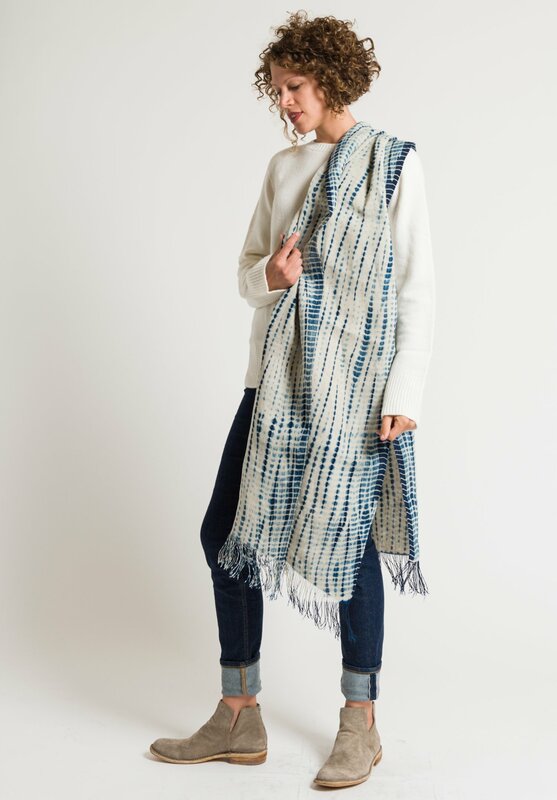 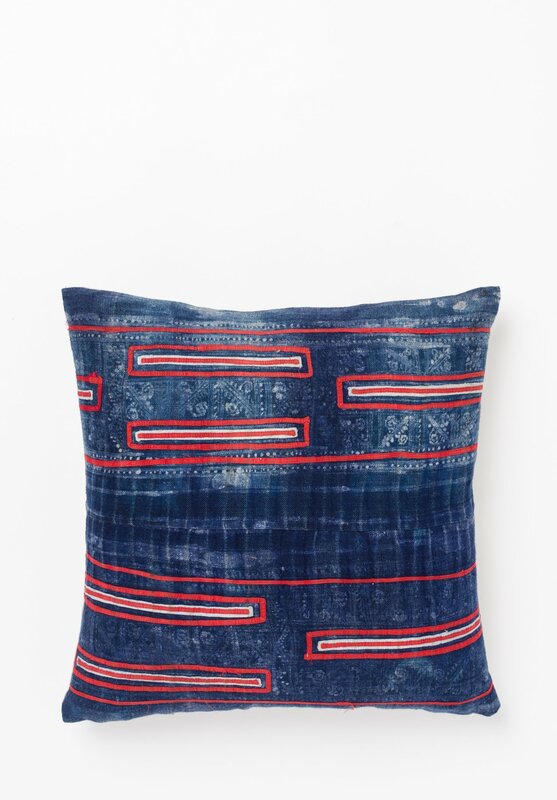 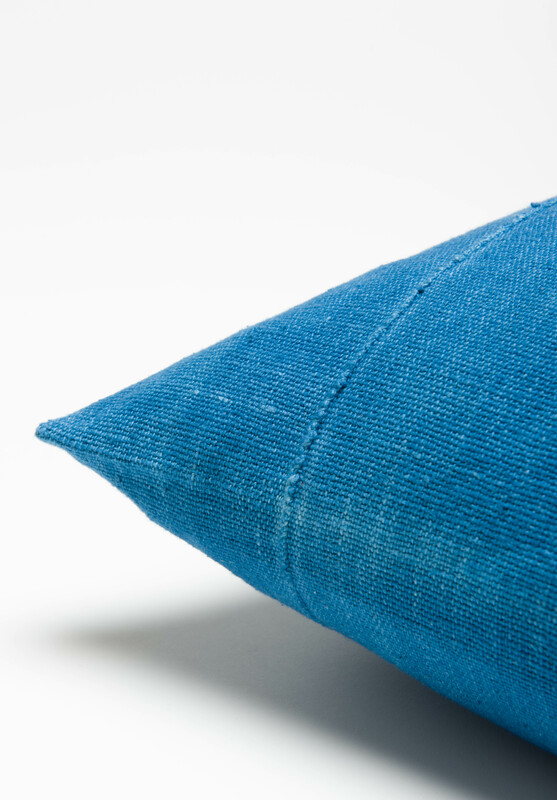 The collection offers authentic indigo designs with a warm unique quality, entirely hand-stitched and hand-dyed by skilled artisans. 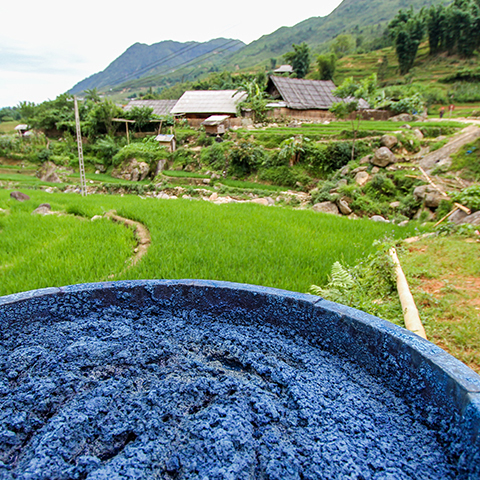 The Hmong peoples originated from the Tibetan plains and have resettled in the hill country of Vietnam, Laos, and Thailand. 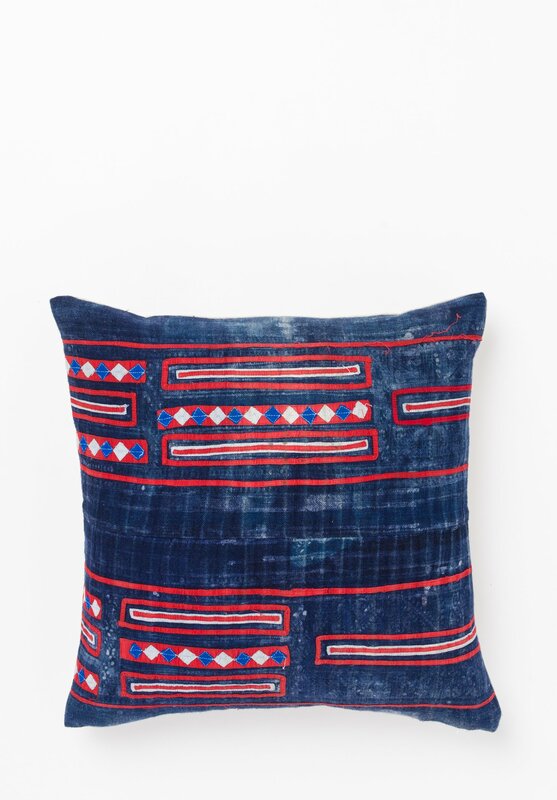 Due to the absence of written Hmong language, the images represented in their textiles played an important role in communication. 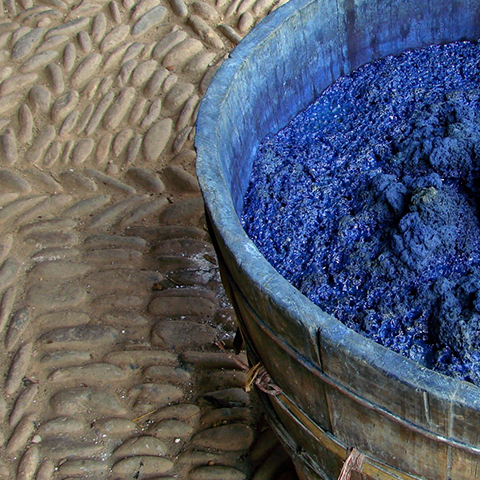 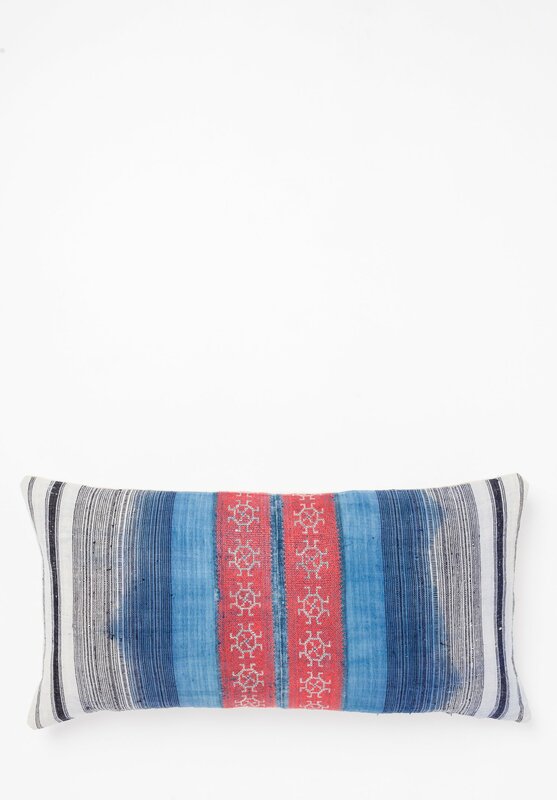 Like other tribes, they cultivate indigo varieties to create their blue dyed cloth. 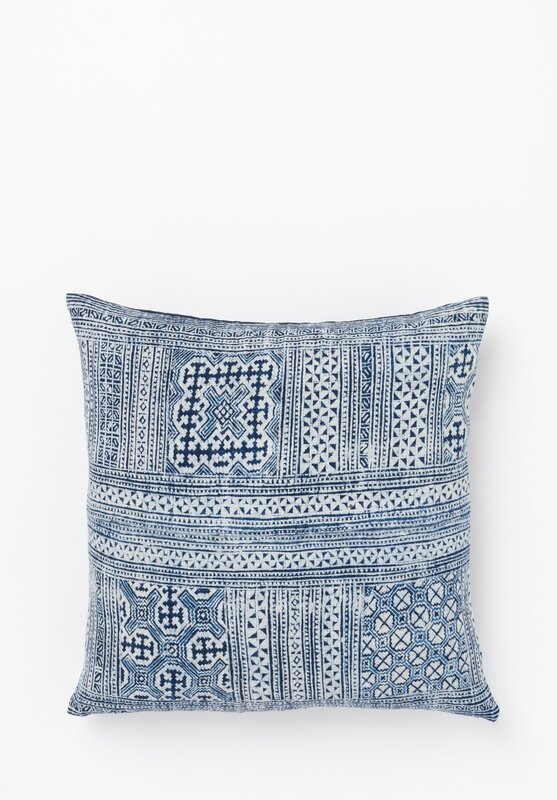 Intricate embroidery is often added to their batiked textiles to facilitate their depiction of complex cultural symbols, history, and folklore.